Praise God for yet another day that He has made. We should certainly rejoice and be glad in it. Every morning when we open our eyes we should thank God for another day in which He chose to keep us. I will bless the Lord oh my soul and all that is within me, bless His holy name. Praise God from whom all blessings flow! And always, I thank God for Jesus, the sacrificial lamb, who made salvation possible for us. There are many believers in Christ who have been wounded and have never allowed that wound to heal. The wound may have come before Christ or after but when ever it came, we must take the steps to allow God to put us in a position to be healed. We can not serve God in a broken or hurt state. My prayer today is directed toward spiritual healing among believers in the body of Christ. If the body of Christ, those of us who are proclaiming the name of Jesus, would think on Jesus, as He instructed the Samaritan woman in the well of living and eternal water and tap into it, we would have a consistent flow of the Holy Spirit and all that comes with it. Out of that well flows hope, peace and power which fills us with such joy in the power of the Holy Spirit that it transcends all understanding. Through that well of living water, we do not have to be anxious about anything. When we tap into that well, our fruit in the holy spirit: love, joy, peace, longsuffering, faith, goodness, gentleness, meekness and temperance blossoms. When we tap into that well, we put our faith in God, we trust that we can do all things through and in the name of Jesus Christ. We trust that what is impossible with man is made possible with God. If only we will tap into Him; the source; the well that contains living water. The well that never dries up, never becomes stagnant; never becomes tainted; our eternal ever flowing source. God said that He would never leave us nor forsake us. He is not dead; He is eternal; He is alpha and omega, the beginning and the end and He sent us the comforter; the spirit of power, not fear! 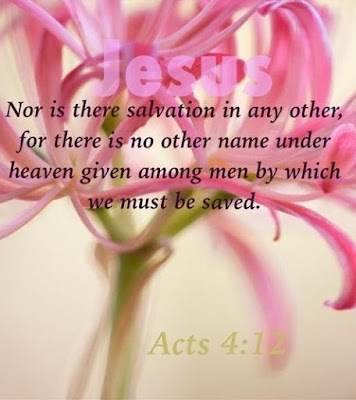 There is absolutely nothing that we may go through that when we call on the name of Jesus, He won't help us bear. God tells us in in His word that we have nothing to worry about, nothing to fear for; that we should be of good cheer because He has already overcome the world. Dear heavenly father, we come to You this day with grateful hearts and praise on our lips that You kept us just one more day; that You allowed us to wake this day with our health and our strength and clothed in our right mind. We thank You because we have a continued mind to serve You. And because we serve and trust You Lord, we have a blessed assurance that You are our refuge and our fortress; no battle is too big or too small for You to handle; and heavenly Father when our situations, cares, concerns and issues overwhelm us, we thank You because we can hide in the shadow of Your wings, oh mighty God, we can have safety in the shelter of the most high. We can say with assurance that this battle belongs to You God; in You will we trust. We thank You heavenly Father for a steadfast desire to serve You despite whatever obstacles come up against us - knowing that You say in your word to arm ourselves for suffering even as our Lord and Savior, Jesus Christ suffered. We know that this is a suffering way, that even as Jesus suffered, we must suffer also. But Lord, we thank You that we have a well of living water. A place where we can go and find rest and shelter and be replenished by that living water. We thank You heavenly Father for Your wings of comfort and protection. You tell us in Your word to be careful for nothing; but in everything we do, by prayer and supplication and with thanksgiving, we are to let our requests be made known to You. We thank you because we know You hear our prayers and our supplications and that You will answer us. We thank You Lord, for we know that if we seek Your kingdom first and Your righteousness, that You will come down and see about us. Help us to run this race with perseverance. Help us to fix our eyes on Jesus, who is the author and perfecter of our faith. We want to hear You say, ‘well done, my good and faithful servant, enter into my rest’. A place where there is peace and joy forever more. Help us not to grow weary in our good works, to have patience and wait on You for all things. Help us to change our desires from material to spiritual. Help us dear Lord to throw off everything that hinders us and break every yoke of sin that so easily entangles us. We ask Lord that You help us to keep our minds stayed on You. Help us to be prayerful in our actions so that we are pleasing in Your sight. There is none greater than You Lord. It was You who sent us Your son to purchase our salvation. We thank You Lord for the comforter, the precious gift of Your Holy ghost that was sent to keep us and intercede on our behalf. And with the Holy ghost and the name of Jesus, we are victorious, we are more than conquerors because there is power in the name of Jesus, that in the name of Jesus there is victory, there is healing, there is salvation. At the name of Jesus, demons flee, yokes are broken, strongholds are cast down, souls are saved. Through the name of Jesus and the precious Holy Ghost within us, we are more than conquerors, we are overcomers and we are no longer victims – but we are victorious through You! Dear heavenly Father, in the name of Jesus, we plead the blood against everything that is not like You. We ask that You command Your angels to guard us in all our ways; in our coming in and in our going out; to protect us from all hurt, harm and danger of those things seen and unseen. Lord we ask that You continue to watch over our spiritual leaders and that you keep us lifted up and sustained in You as we complete the assignment you've given us. We need You, oh God, in our lives. Remember all the prayer requests that have gone up before you; all of those who are suffering both physically, mentally and emotionally. We pray, oh Lord God that You bring peace and deliverance to those that are troubled, that You bring comfort to those in sorrow, healing to those who are sick. We pray, in the precious name of Jesus and the power we have through your precious Holy Spirit, that everything that is contrary to Your will be bound and utterly destroyed! And now as we prepare to begin our day, Lord we pray that You be with us, that you lead us and guide us, give us wisdom and knowledge to speak and act according to Your will; that we may be laborers in Your field today; that Your manifested glory be revealed through us dear God. We ask all these things and we thank You for all things, in the matchless name of Jesus we pray, amen. Thank God for this prayer today; hopefully something was said that will bless us and keep us today and that our minds will be in perfect peace with the Lord.